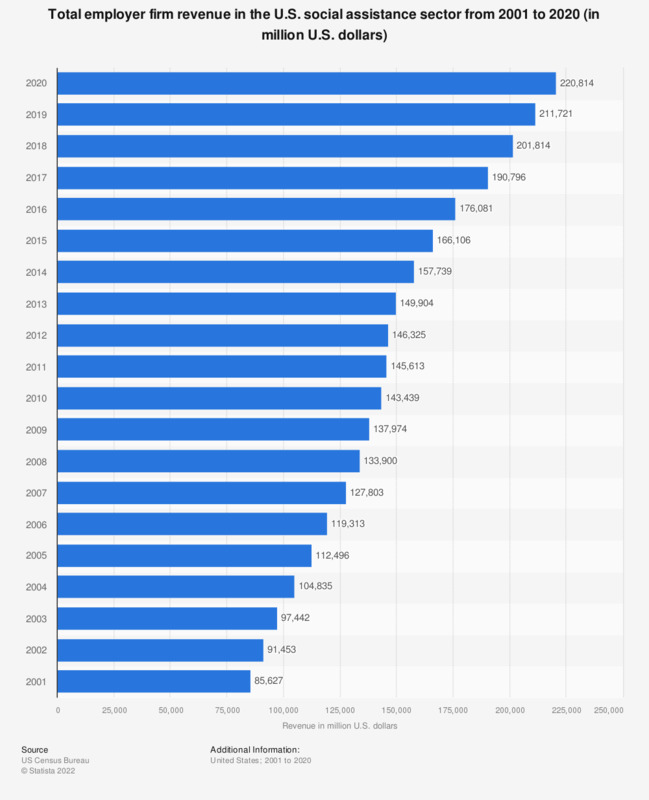 This statistic shows the estimated total revenue for employer firms in the US social assistance sector, presented annually from 2001 to 2017. In 2007, the estimated employer firm revenue in this sector was about 128 billion U.S. dollars. The estimates cover taxable and tax-exempt firms and are not adjusted for price changes. Figures prior to 2013 were taken from previos SAS editions.